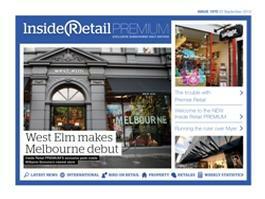 Inside Retail Premium is the new release of our digital newsletter, featuring exclusive news and commentary covering the Australian retail industry and relevant news from abroad. The new format gives subscribers easy access to an increased number of images, linked content. and interactivity, in addition to improved viewing on smartphones, tablets and desktop or laptop screens. Subscribers are sent an email each Wednesday morning, providing a link to log in for immediate access to the exclusive subscriber only content. To ensure each subscriber's password is never out of reach, it will be emailed each week with the newest issue. Subscribers can print each edition, as well as have access to archives stored online for easy access to Inside Retail weekly back issues. Be the first person to tell us what you think about Inside Retail WEEKLY and you'll save $5 on your next purchase! This is published 48 times per year, please allow up to 2-5 weeks for your first delivery.